Lock in a great price for ALEXA Hostel – rated 9.3 by recent guests! This hostel is amazing. The staff are so attentive and kind and caring. I’ve stayed in 5 star resorts that have nothing on this place! We had an amazing time and plan on coming back. The location, wifi and restaurant were great. The food was also good. The location is very convenient. 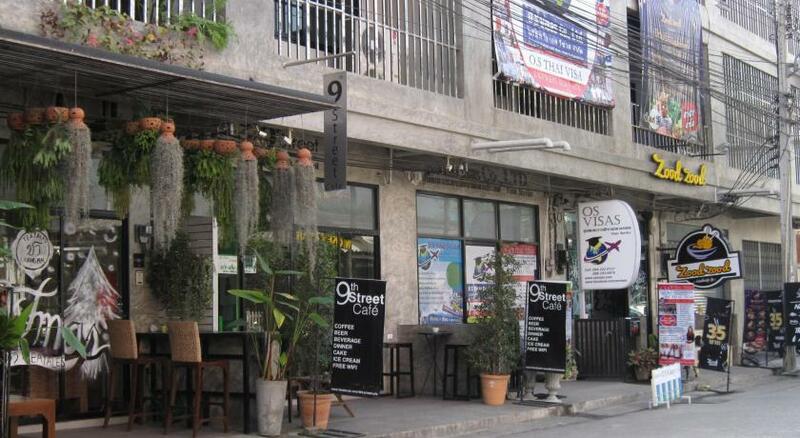 Their cafe is a good one too so if you’re too lazy to go far you still can get good food and drink downstairs. Super clean. A coffee shop on ground floor which supplies nice coffees. There was a live band show during the night of my stay. All around gem, this hostel was the best we stayed at in Thailand. It's clean and well run, it has an awesome bar/restaurant/hangout area on the first floor. Good food, live music, dependable wife, laundry on site, clean beds and big private rooms. You're not going to do much better than this at a hostel. On my trek through Thailand, I decided to stay here 1 night before a flight, and boy am I glad I did. 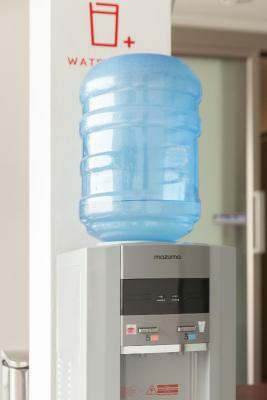 The place is modern, clean, beautiful, with great facilities. I managed to get hit with a NASTY bout of food poisoning around 8pm and was up all night puking my brains out. Thank god for the free TP, drinking water station, bathroom stalls, and plastic sanitary bags, not to mention that beautiful couch area outside the bathroom for when I was able to crawl to somewhere more comfortable in between pukes haha. I called the staff and asked if there was an open bottom bunk in my room so I could maybe lay in bed between ralphing, alas it was all booked, but the sweet employee looked so empathetic and asked if he could get me any medicine, I didn’t have time to answer him unfortunately haha. But top notch facilities!! 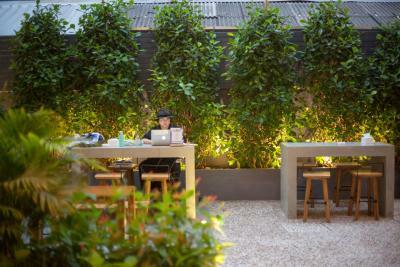 It is a good location for who would love to travel and chilling out at Nimman Road. And I would like to suggests you a chilling bar at this hostel is perfect. Very clean room and bathroom. A room feel private even it is a hostel. The staff was really friendly. Many people prefer to stay in Old City Town but I found this area more convenient as it offers great restaurants and cafes. The hostel was really clean, their restaurant is also very good, even if you're not a guest it's definitely worth to stop by for some food. 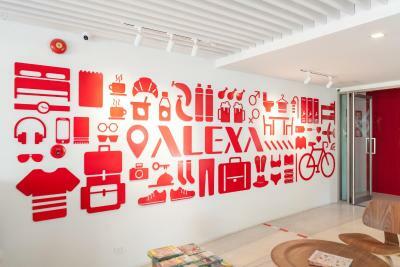 ALEXA Hostel This rating is a reflection of how the property compares to the industry standard when it comes to price, facilities and services available. It's based on a self-evaluation by the property. Use this rating to help choose your stay! One of our best sellers in Chiang Mai! 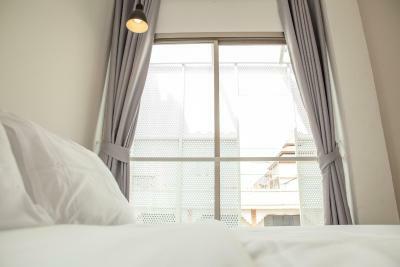 Just 150 feet off Nimmanhaemin Road, ALEXA Hostel offers an accommodations in Chiang Mai's hotspot for shopping, dining and nightlife area. Free WiFi is featured throughout the property. 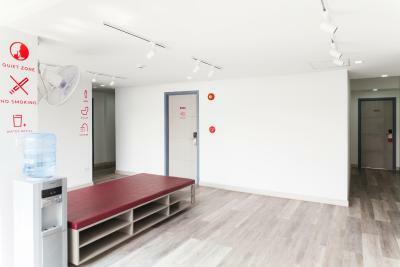 In the air-conditioned dorm rooms guests have access to shared facilities including common areas, lockers and separated men/woman bathrooms with hairdryers and free toiletries. 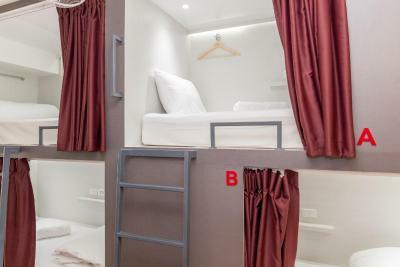 The spacious bunk beds feature a lot of privacy and are equipped with premium bedding. Private double rooms feature a safety deposit box and a flat-screen TV. 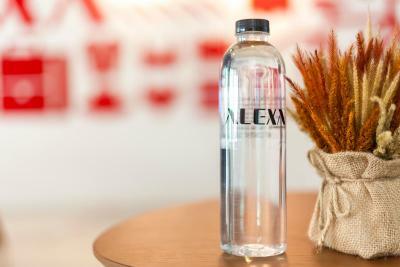 Guests can stay hydrated with 24/7 access to complimentary water while the ALEXA Breakfast can be enjoyed every morning from 07:00 - 10:00 hrs. 24-hour front desk, personal lockers/safety boxes, laundry facilities, bar and coffee shop and communal garden are available. Friendly staff are knowledgeable and can provide suggestions to suit the modern traveling style. 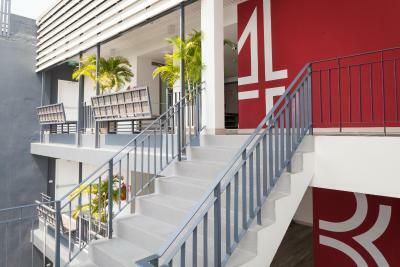 This property also has one of the top-rated locations in Chiang Mai! Guests are happier about it compared to other properties in the area. 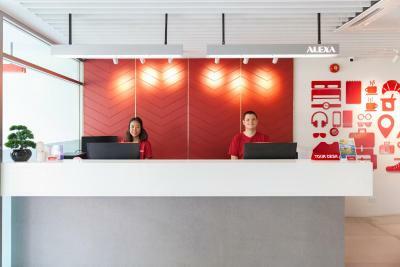 When would you like to stay at ALEXA Hostel? Our bunk beds in a mixed dormitory room are equipped with air conditioning, lockers, reading lights, personal electrical sockets, a towel rack and clothes hooks. An extra-large single bed offers a lot of privacy. Guests have access to a shared bathroom located on every floor. Complimentary toiletries, a hairdryer, fresh linen and towels are inclusive. Our bunk beds in a female dormitory room are equipped with air conditioning, lockers, reading lights, personal electrical sockets, a towel rack and clothes hooks. An extra-large single bed offers a lot of privacy. Guests have access to a shared bathroom located on every floor. 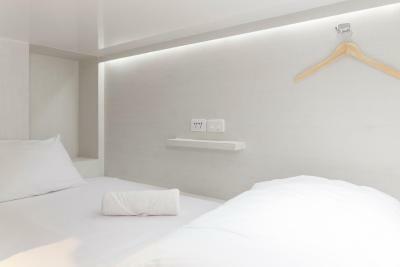 Complimentary toiletries, a hairdryer, fresh linen and towels are inclusive. 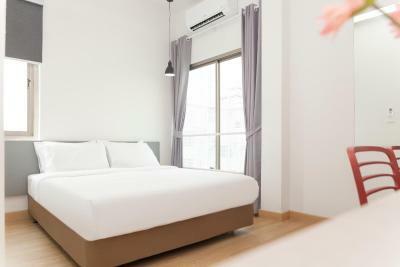 This double room is equipped with air conditioning, a safety deposit box and a flat-screen TV. Guests have access to a shared bathroom located on every floor. Complimentary toiletries, a hairdryer and fresh towels are inclusive. 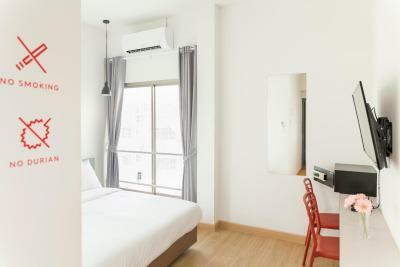 The room is equipped with air conditioning, lockers, reading lights, personal electrical sockets, a towel rack and clothes hook. 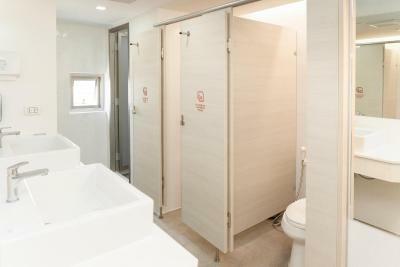 Guests have access to a shared bathroom located on every floor. 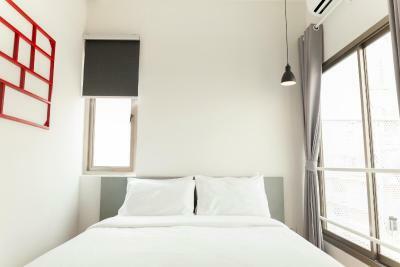 Complimentary toiletries, a hairdryer, fresh linen and towels are included. This double room is equipped with a small window, air conditioning, a safety deposit box and a flat-screen TV. Guests have access to a shared bathroom located on every floor. Complimentary toiletries, a hairdryer and fresh towels are inclusive. 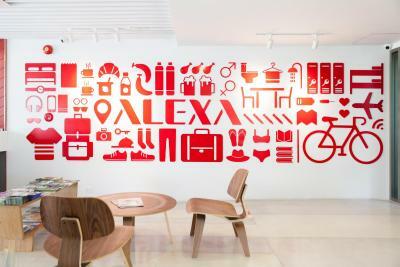 House Rules ALEXA Hostel takes special requests – add in the next step! ALEXA Hostel accepts these cards and reserves the right to temporarily hold an amount prior to arrival. Breakfast is complimentary but very basic. Very clean rooms and helpful staff. The bedroom was a bit small. The breakfast want very good (opted for going outside of the hotel since it was so bad). It's said that breakfast is included but it's only a coffee. They keep the AC on at 16C during the whole night and even the lights on. There's a live music show downstairs and it's noisy. Not a very social place - you will not get in touch with other people here. The staff was not very helpful when I had questions two times. More a hotel than a hostel. Very clean place. The breakfast is quite poor, salad and watermelon and a dish was nice but I wish there was more options. Cereal, good coffee (not in a bag) and juice, more fruit options and perhaps eggs and local cuisine. A little pricy considering Chiang Mai standards. I loved the curtain and the bed, the full layout of the establishment is quite nice. Staff is helpful and friendly. Bathroom was kept clean and I love the q-tips and other basic necessities in the bathroom. Area us great! The air con in the room was a little bit too cold. The breakfast was a little light. But it was included in the price so quite fair overall. Bathrooms are really cramped, toilet almost touches the door and there are only two showers. It’s usable though. the management is so unflexible , when i check in and my friend just check out , the employee didnt allow my friend help me with the luggage ! And if you want to change the room , you must need to pack all your stuff and go to the receptionist get the new key even its the same floor! 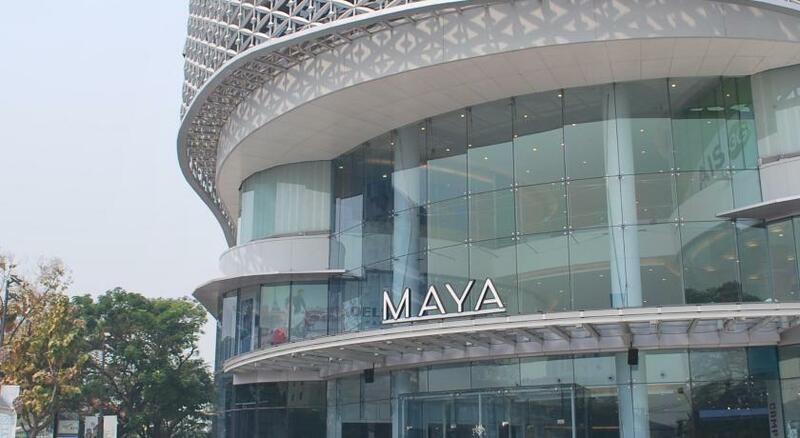 the location is great , is close to MAYA and ONE nimman! It's so convenience! The location is very good! The center of Nimmanhaemin.